A 2 day seminar for researchers within clinical practice for an international audience, to be held in Leeds. The client wanted a residential event with a separate and interesting venue to host a conference dinner on the first evening. Facilities for a pre-conference meeting and dinner were also required. The Queens Hotel in Leeds was the perfect venue to hold this international residential event and pre-conference meeting with dinner. 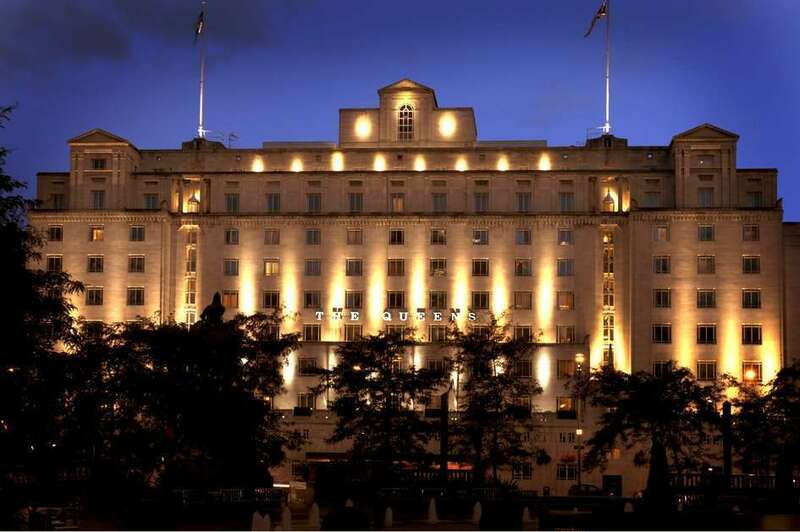 A glamorous 4 star, art deco hotel with comfortable accommodation, adjacent to the train station oozing 1930s elegance proved to be a real hit, especially with overseas delegates. A conference area for exclusive use provided ideal meeting, catering and exhibition space over the two days and the public areas ensured discussions and networking extended beyond the conference day for the residential delegates. The drinks reception and dinner was held at the Royal Armouries museum which was a short walk from the hotel. An informal dinner featured a selection of miniature main meails that introduced an element of choice and an opportunity for visitors to try traditional English cuisine. The setting allowed everyone to freely interact with both the gallery and other attendees. The evening also included a performance depicting the story of an English Samurai; the entertainment provided delegates with an interesting topic of conversation as well as creating a memorable event for all those attending. The team were always professional and attentive and delivered a first class conference including some last minute negotiations with the venue for the evening reception, all handled with panache!